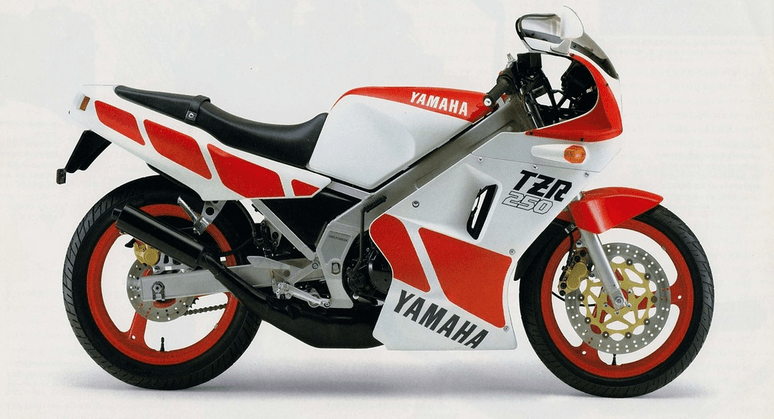 They are one of the most enduring motorcycle branding exercises of the late twentieth and early twenty-first century and have graced both race and road machines but when were the Yamaha “Speed Block” graphics first seen and where did they come from? The design originated with the company’s racing operation in the USA in 1972 where it was used to build brand awareness through their participation in a range of motorcycle competitions. This strategy proved to a be a resounding success thanks to the stellar performances of Kenny Roberts (AMA Grand National Champion 1973 and 1974, Motorcycle Grand Prix World Champion 1978-1980), Pierre Karsmakers (AMA Supercross winner 1973) and his successor Bob “Hurricane” Hannah (AMA Supercross Champion 1977, 1978 and 1979). 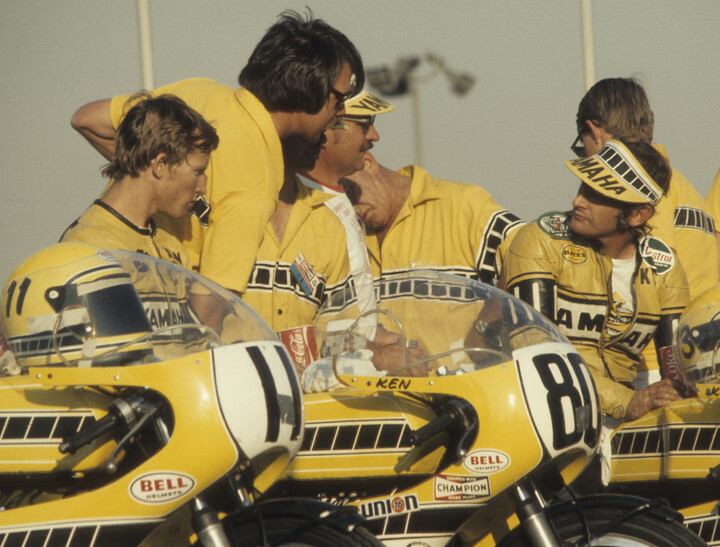 The original design, as created by Rollin “Molly” Sanders, a consultant to the motorcycle industry who also advised Kawasaki on their switch to green for their racing colours, was a yellow background with evenly sized and spaced black blocks on a white stripe. As can be seen in the images below, these were applied to both the race bikes and the riders’ leathers. Whilst the blocks were upright on the leathers, they were inclined forward on the bikes to create an impression of speed. Initially, this design was referred to as “Chain Block” but later became known as “Speed Block”. Within racing circles, the design was known as “Bumblebee” owing to the black and yellow colours and the buzzing sound of their two-stroke motors. 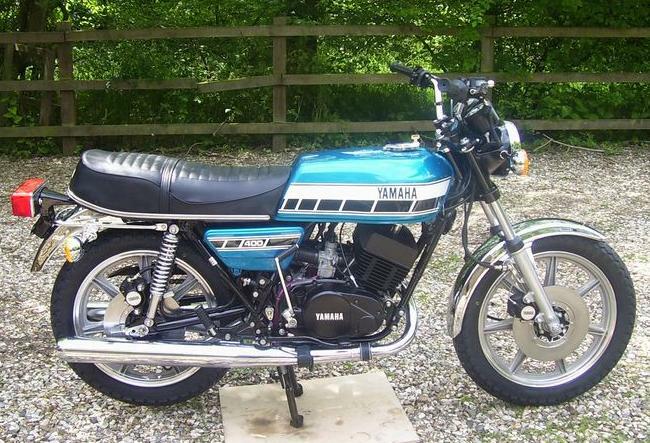 The “Speed Block” graphics were introduced to Yamaha’s range of road bikes in 1976 to accompany the new boxier design for the “C” generation of their RD (Race Developed) range and continued with subtle revisions up to and including the 1979 model year. 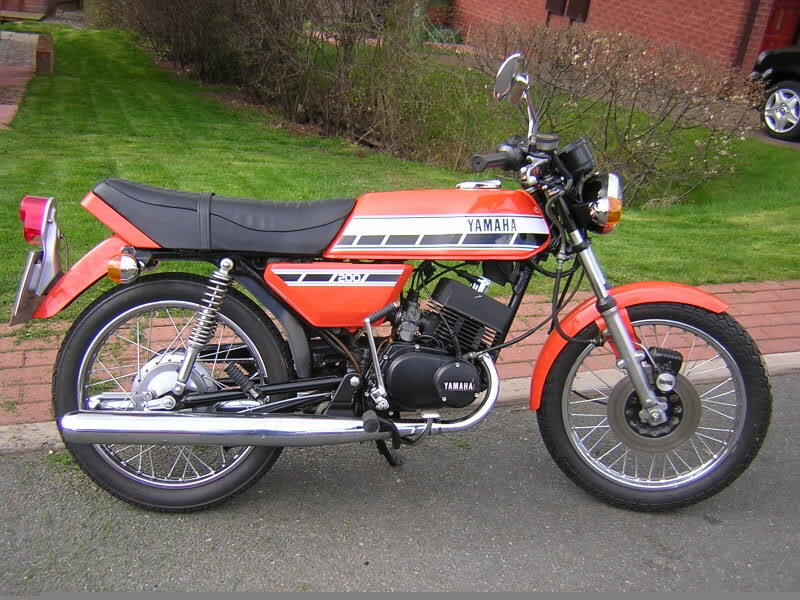 With the introduction of the Yamaha RD250/350LC in 1980, the “Speed Block” design disappeared from road bikes for a number of years and its return was not universal across all markets. It seems extraordinary now but even the mighty Yamaha RD500 YPVS of 1984 was sold in the UK devoid of the famous “Speed Block” graphics. 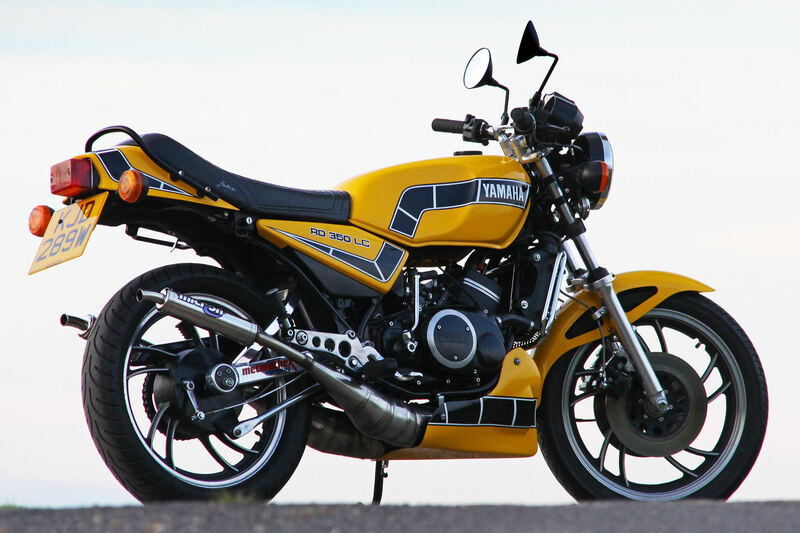 The UK market, in particular, was slow to return to its use and did not see it again until the Yamaha TZR250 broke cover in 1986 and its use continued on this model until production ended in 1996. 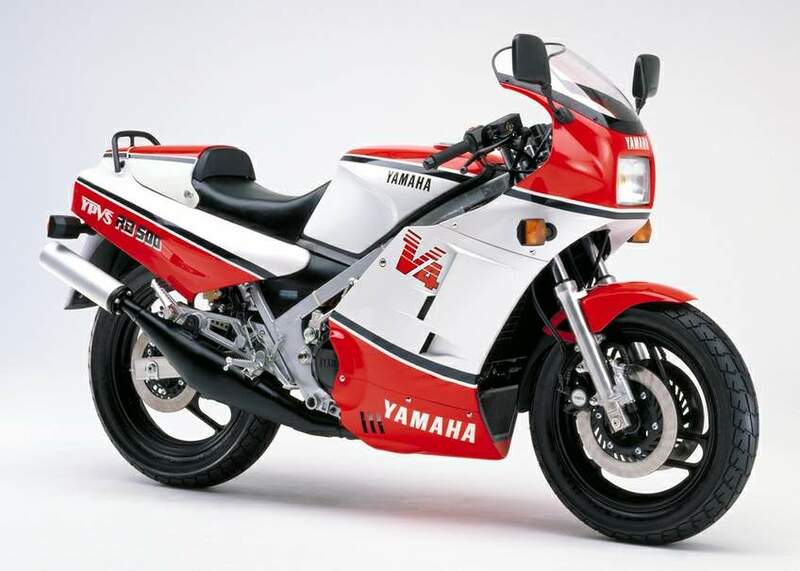 Around this time, other sporting models in Yamaha’s line-ups also featured “Speed Block” graphics, notably the FZR1000 (1987-95) and the YZF750 (1993-98). However, there is a school of thought that factory paint schemes had lost their way by the mid 1990s and that many of the better looking bikes from this period are those painted in non-standard schemes. 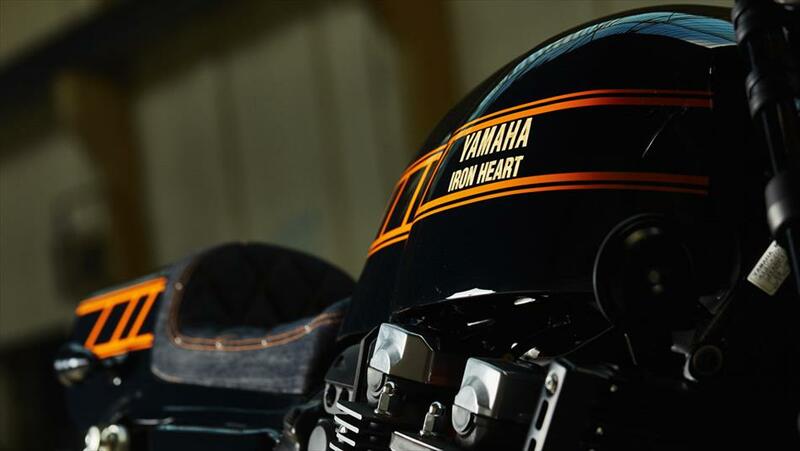 Yard Built is Yamaha’s initiative to tap into this custom scene and clearly shows that “Speed Blocks” still resonate with riders today. We say to Yamaha, listen to your Yard Built partners, listen to popular opinion and listen to your history, and bring back “Speed Block”! 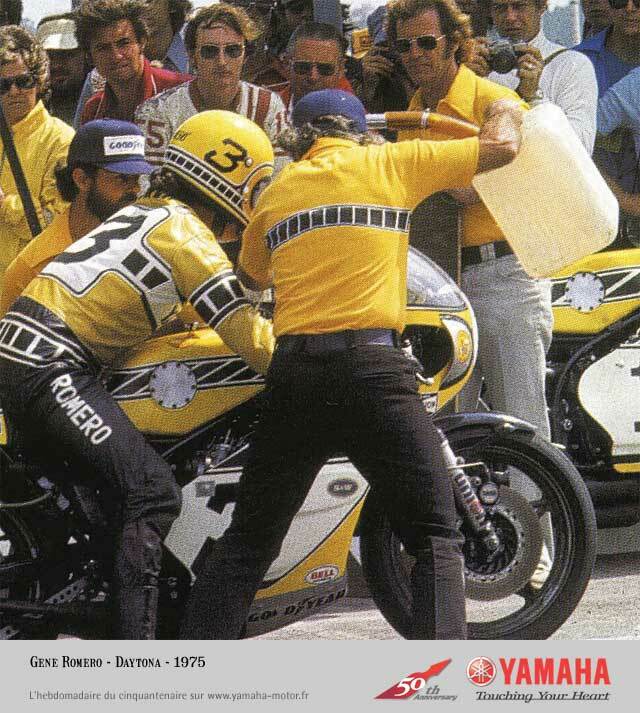 This entry was posted in Motorcycles and tagged branding, graphics, Kenny Roberts, racing, RD, Speed Block, Yamaha. Bookmark the permalink.